Hopeful Africa, Inc. is a 501(c)(3) non-profit organization that works to provide the opportunity for the youth of America to partner with the youth of Africa in bringing sustainable prosperity to Africa. Hopeful Africa strongly believes Africa is full of hope and potential. However, without a strong educational infrastructure, it is impossible to bring an end to the disease, poverty, and instability that ravages the continent. For now, Hopeful Africa’s efforts are focused on building educational resources at partner schools in Kenya. Quality education is the best way to ensure that future generations of Africans enjoy the peace, health, and financial success that they deserve. To provide an opportunity for American youth to partner with African youth in bringing sustainable prosperity to Africa. Long-term solutions for problems in Africa. Formerly Hope 4 Africa, Hopeful Africa currently funds three programs in Kenya: student sponsorship, teacher support, and school investment. Hopeful Africa sponsors over 20 students per year to attend secondary school in Kenya, for which fees can be financially restrictive. The teacher support program allows Hopeful Africa to work with its six partner schools in Kenya to pay the costs associated with teacher salaries and thus bring more teachers to understaffed schools. Hopeful Africa invests otherwise in schools by providing materials such as books, electricity, or technology – whatever the administrators tell Hopeful Africa is a pressing need. This allows for flexibility in Hopeful Africa’s approach and assures that the help given is needed. 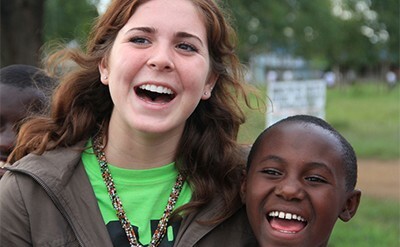 Hope 4 Africa was founded in 2008 as a student club at Valley High School in West Des Moines, Iowa. Over the next few years, the name changed to Hopeful Africa, where founder and president Moses Bomett spread the organization to several different schools across the Midwest, eventually earning 501c3 nonprofit recognition in 2011. 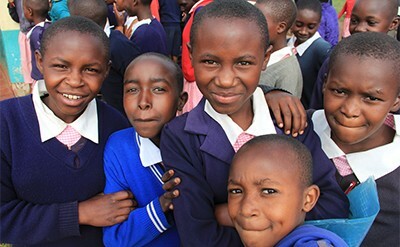 Over the course of the six years, Hopeful Africa has invested over $45,000 in six partner schools in Kenya. Through this funding, Hopeful Africa’s partner schools have gained access to books, teachers, computers, electricity, student sponsorships, musical instruments, and more. Currently, the six partner schools are located in Kenya, where Moses grew up and where Hopeful Africa has the most reliable connections. Student clubs in the United States are in Iowa, Missouri, South Dakota, and Minnesota. Hopeful Africa, during its six years, has been almost entirely run by student volunteers using their skills to grow the organization. The last two years have seen unprecedented growth for Hopeful Africa and the future is even brighter. Our Network members are changing the world.